For the first time in decades, the District of Columbia is considering impressive, far-reaching tax reform that broadens tax bases, lowers business and individual income tax rates, and makes D.C.’s tax code more competitive with neighboring states. The D.C. Council has already approved the package in an 11-2 vote. 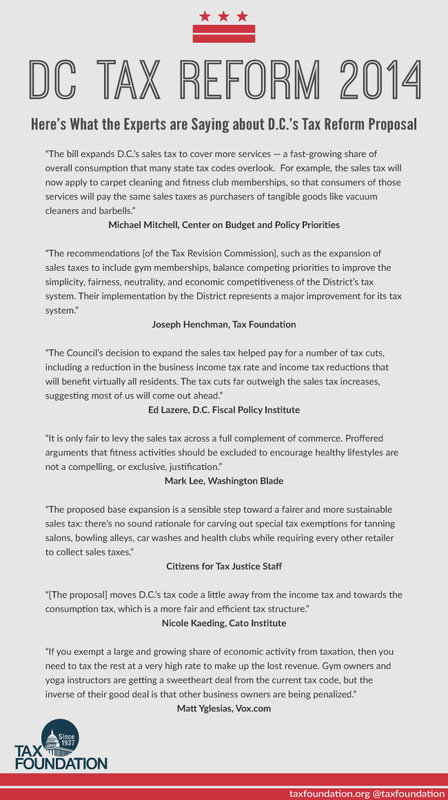 However, the fitness club industry is attempting to water down the proposed rate cuts by lengthening the phase down of D.C.’s corporate income tax (called the “business franchise tax”), in hopes of retaining their industry’s current exemption from the D.C. sales tax. This would be unfortunate, and is a clear example of why tax reform is so hard. Everyone agrees in theory that broadening bases and lowering rates is good, fair, and competitive, but states rarely have well-structured tax codes because interests lobby to protect their favored exclusions, exemptions, and credits, keeping the tax base narrow. 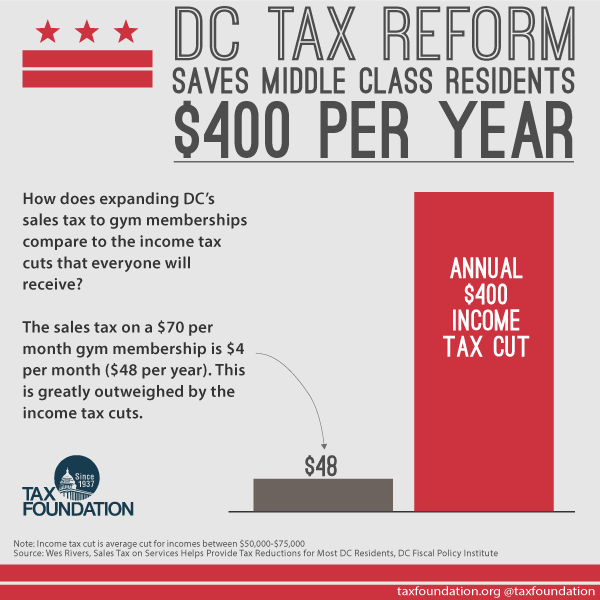 Citizens for Tax Justice: Will Anti-Tax Yogis Sink Tax-Reform in D.C.?